Editor’s Note: This is the first in a series of posts from Biblioasis Press volunteers. Norman Nehmetallah, the present author, was raised here in Windsor, Ontario. He recently graduated with honours in English Literature from Mount Allison University, one of Canada’s most prestigious liberal arts universities, and studied at Vanderbilt University in Nashville, Tennessee as a 2014 Fulbright Canada Killam Fellow. He assists with social media, marketing, and publicity. So what if one of the most highly regarded films appearing at this year’s festival is based on a quietly stunning story by our own David Constantine? 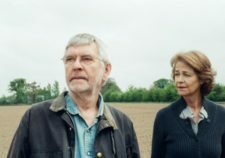 Director Andrew Haigh worked Constantine’s “In Another Country,” the crown jewel of his eponymous short story collection, which The Independent called “rich and allusive and unashamedly moving,” into a feature that cleaned up at the Berlin International Film Festival. The film revolves around the marital tension that emerges between Kate and Geoff Mercer when Geoff learns that the body of his old girlfriend has been discovered, perfectly preserved in the Swiss Alps where she fell on their hiking trip fifty years earlier. You can catch this film Friday, November 6th at 5:45pm, or at a 9am matinee the next morning, November 7th. The Friday night screening features a post-film discussion between Biblioasis publisher Dan Wells and WIFF executive director Vincent Georgie. Tickets are selling briskly, so buy yours now. You can also RSVP here. Signed, first edition copies of the book will be available for purchase. Film giant Martin Scorsese and his former editor David Tedeschi (Shine a Light) offer this documentary about the history and influence of The New York Review of Books, created during the fortnightly publication’s fiftieth anniversary. This hyper-literary documentary is only being screened on Thursday, November 5th, at 9:10am, so like a recently delivered copy of The New York Review of Books, it’s probably best enjoyed with a coffee. The Lady in the Van tells the “mostly true” story of a friendship between British playwright, screenwriter, actor, and author Alan Bennett and Mary Shepherd, the homeless woman who parked her van/home in his driveway for fifteen years—fourteen years and nine months longer than Bennett had anticipated. The inexhaustibly excellent Maggie Smith plays Mary Shepherd. As if the authorial subject doesn’t render this film literary enough, Nicholas Hytner, Bennett’s frequent collaborator and a director of opera, film, and theatre, directs the picture. The film plays thrice over the course of the festival (November 3rd at 3:35pm, November 5th at 5:50pm, and November 8th at 1:30pm), so there’s no excuse to miss it. Me and Earl and the Dying Girl, based on Andrews’ debut young adult novel of the same name, is about “growing up, facing death, making and losing friends and other rites of passage, but it’s also, and more immediately, about drifting, hanging out, wasting time and succumbing to confusion.” Although the story of a relationship between a teen and his cancer-stricken peer sounds very similar to John Green’s wildly popular The Fault in Our Stars, published in the same year, this film isn’t a knock-off: Me and Earl and the Dying Girl took home both the Audience Award and the Grand Jury Prize at the 2015 Sundance Film Festival, where it premiered. You can catch Gomez-Rejon’s film on Wednesday, November 4th at 11:25am. It might be worth skipping class to see. With a setting reminiscent of another well-known book/film, One Flew Over the Cuckoo’s Nest, Elephant Song takes place in a 1960s psychiatric institution. The film centres on a tense interview between psychiatrist and patient concerning the whereabouts of Dr. Lawrence, a missing psychiatrist. Elephant Song won playwright Nicolas Billon, winner of the 2013 Governor General’s Award for Drama for Fault Lines, the Canadian Screen Award for “Best Adapted Screenplay.” Catch Elephant Song at 9:10am on Wednesday, November 4th, and at 5:40pm on Saturday, November 7th. Another standout of this year’s documentary heavy schedule, A Gay Girl in Damascus draws from the smaller screen, instead of the page, for its controversial subject matter. Deraspe examines the relationship between Montrealer Sandra Bagaria and the Syrian-American blogger behind A Gay Girl in Damascus, Amina Abdallah Arraf al Omari, whose existence was revealed to be a fiction perpetrated by a man named Tom MacMaster. Ken Jaworowski, writing for The New York Times, said “even knowing the secret of A Gay Girl in Damascus doesn’t make this documentary any less tense. That’s a testament to Sophie Deraspe, a director who understands how to let a plot unfold.” A Gay Girl in Damascus is being screened on Wednesday, November 4th, at 3:35pm and Thursday, November 5th, at 8pm. 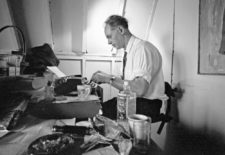 Johnson’s documentary tells the story of Al Purdy, one of Canadian poetry’s most gruff and enduring voices, and the effort of artists and patrons to restore the Robin Lake cabin he shared with his wife and fashion it into a writer’s retreat. Al Purdy Was Here is playing at 1:15pm on Sunday, November 8th. While critics were generally unimpressed with Paquet-Brenner’s Dark Places, we’ll see this film on the strength of last year’s Oscar-nominated Gone Girl, which David Fincher adapted from Flynn’s novel of the same name. Dark Places, like Gone Girl, is a murder mystery set in the navel of the United States, where Midwest, Southern, and Western identities converge and muddy. Dark Places is being screened on Tuesday, November 3rd, at 10:25pm and again on Friday, November 6th, at 9:55pm. If these selections aren’t enough for you, Miss Julie, Suite Française, and Testament of Youth are also based on literary works. Further descriptions, ticket information, and a full schedule of films can be found here. See you at the movies.